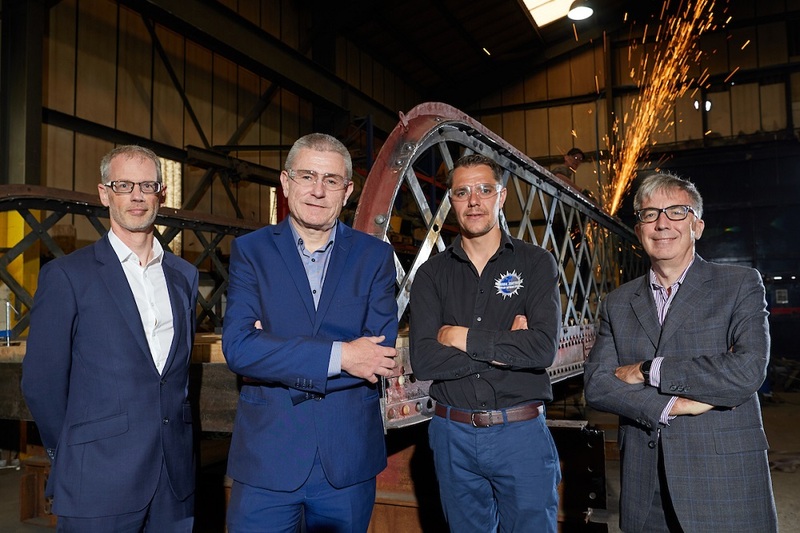 A Doncaster engineering firm which made the steel walkways for the sports complex in the 2012 Olympics has secured a £150,000 loan from NPIF-Mercia Debt Finance, which is managed by Mercia Fund Managers and is part of the Northern Powerhouse Investment Fund. Universal Coatings will use the money to fulfil new contract wins and expects to create an additional seven jobs as a result. The company provides coatings for everything from swimming pools to steel structures and also offers a complete fabrication service. In addition to supplying fixtures for the Queen Elizabeth Olympic Park and other events, it has built many canal bridges and specialises in conservation work such as the restoration of statues and structures at heritage sites. Universal Coatings was founded in 2007 by two schoolfriends – Phil Bingham who had a background in the industry, and Phil Pantry who had worked in agriculture. The company now employs around 18 people. Andy Stokoe of Smith Craven Chartered Accountants provided fundraising advice to the company.